The hotel is rated three stars by Western standards. North Korea rates it as five stars. A section of the hotel reportedly caught fire on 11 June 2015 due to undisclosed circumstances, leaving the bridge between the two buildings badly damaged. "Koryo" is the name of an early kingdom which is the source of the English name "Korea". It is also used in the name of the North Korean airline, Air Koryo. The Koryo Hotel replaced an older hotel of the same name, but in a different location. For a time after 1946 the leader of North Korea's Democratic Party Cho Man-sik was kept under house arrest in the older Koryo Hotel. The hotel is situated close to Pyongyang Station in Chung-kuyok, central Pyongyang. The hotel's extravagance is exemplified by its entryway, which consists of a 9-metre (30 ft) wide jade dragon's mouth that leads into an expansive lobby dominated by a mosaic of North Korean cultural symbols. The mosaic tiles make use of a wide variety of precious metals and gemstones underneath low-dispersion glass panes, which are replaced biannually to preserve the mosaic's luster. The hotel has 500 rooms. Rooms are equipped with a mini-bar and TV. Guests have reported power outages within the hotel grounds. Amenities include a hard currency gift shop, gym, a swimming pool, a revolving restaurant on the 45th floor, a circular bar on the 44th floor and two cinemas; one with 200 seats and one with 70 seats. There is a coffee shop on the ground floor. The hotel also features a billiards room on the second floor and a casino in the basement. The casino offers blackjack, roulette, and slot machines. The casino is staffed by Chinese workers. Amenities do not include the use of the Internet. Each tower is topped by a revolving restaurant, however only one is open. The revolving restaurant apparently had a 9 pm closing time but in recent years the closing time has been extended or relaxed based on the quality of the guests' tipping. Aside from the single open revolving restaurant, the hotel has four other restaurants including a Japanese restaurant and a Korean BBQ restaurant. The restaurants are operated by Japanese expatriates and are run as private businesses, but they must pay a fee to the state. By some reports guests are prevented by guards from leaving the hotel. However, others report the ability to wander off the hotel grounds. The hotel is a few blocks from the city's restaurant district and the Pyongyang Railroad Station. ^ a b c d "North Korea Travel Guides". HotelChatter. Retrieved 2012-02-21. ^ "Koryo Hotel, Pyongyang". SkyscraperPage. Retrieved 2012-02-21. ^ Oh, Kong Dan; Hassig, Ralph C. (2000). North Korea through the looking glass. Brookings Institution. p. 117. ^ a b c d e "Koryo Hotel". Northkorea1on1.com. Archived from the original on 2014-06-06. Retrieved 2013-10-10. ^ "Koryo Hotel (1985)". Structurae. Retrieved 2013-10-10. ^ "DPRK (North Korea) - FAQs - Koryo Tours". Koryo Tours. Retrieved 2017-05-14. ^ Pearson, James (11 June 2015). "Pyongyang's Koryo Hotel, tourist hub, catches fire". Reuters. Pyongyang. Archived from the original on 12 June 2015. Retrieved 13 June 2015. ^ @Annafifield (11 June 2015). "Koryo hotel fire: 'The bridge has completely burned out, you can see through the structure from outside. No visible fire and smoke anymore.'" (Tweet) – via Twitter. ^ Lee, Bong (2003). The Unfinished War: Korea. Algora Publishing. p. 40. ^ Yup, Paik Sun; Paek, Sŏn-yŏp (1999). From Pusan to Panmunjom. Potomac Books. p. 82. ^ a b "Hotels In North Korea, Hotels In Pyongyang". CountriesandCapitals. Archived from the original on 2012-02-16. Retrieved 2013-10-10. ^ "Individual tours, hotels description". Korea Konsult. Retrieved 2013-10-10. ^ a b Young, James V.; Stueck, William Whitney (2003). Eye on Korea. Texas A&M University Press. p. 146. ^ a b "Koryo Hotel". TripAdvisor. ^ "Koryo Hotel". Lonely Planet. Retrieved 2013-10-10. ^ McElroy, Damien. "Whiskey, weapons go-go in Pyongyang". The Daily Telegraph. Retrieved 2013-10-10. ^ a b Linton, Stephen W. (1997). "Life After Death in North Korea". In McCann, David R. (ed.). Korea Briefing: Toward Reunification. Asia Society. p. 98. 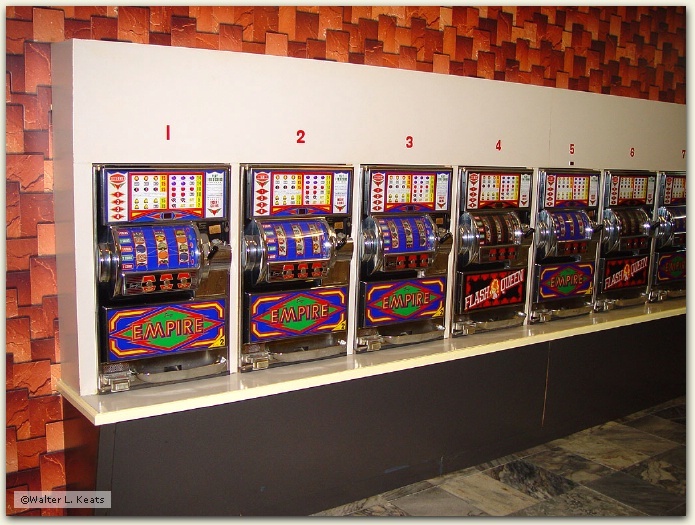 ^ Keats, Walter L. "Slot Machines, Pyongyang Koryo Hotel, Pyongyang, DPRK". NorthKorea1on1.com. Archived from the original on 2011-07-14. ^ "Arrival in Pyongyang". Yunkai. October 14, 2000. Archived from the original on 2009-06-25. ^ "Business". Korean Friendship Association. February 2011. ^ Gluckman, Ron (1991). "Life in Paradise". Retrieved 2012-02-21. ^ Gonglewski, John D. (2010-02-11). "Korean Pictures". Archived from the original on 2012-01-10. ^ Young, James V.; Stueck, William Whitney (2003). Eye on Korea. Texas A&M University Press. p. 148. ^ Oh, Kong Dan; Hassig, Ralph C. (2000). North Korea through the looking glass. Brookings Institution. p. 130. ^ "British Parliamentary visit to North Korea". British Association of Korean Studies. September 2005. Archived from the original on 2012-02-11. Wikimedia Commons has media related to Koryo Hotel. This page was last edited on 12 December 2017, at 11:48 (UTC).